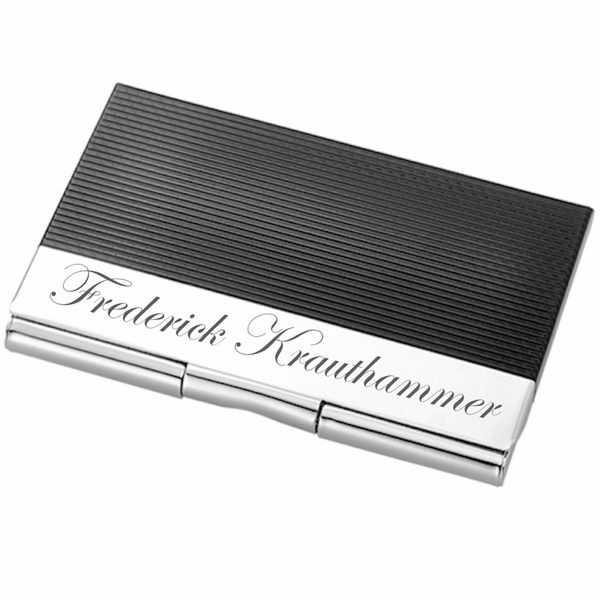 This black and silver business card holder has a shiny polished silver finish throughout and a black striped insert. Its simple design is perfect for those who prefer their engravement to be the center of attention. Engrave either side of this business card to make it really stand out. Personalized business card holders with initials, names or job titles turn even the most basic card holder into something unique.